We are very excited for this year’s summer adventures and we hope you will join us! Looking for a safe and fun place your children can spend their summer vacation? 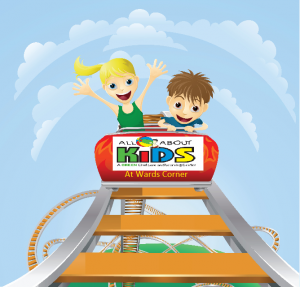 All About Kids at Wards Corner Childcare and Learning Center is the perfect place! Our summer camp program offers a unique combination of educational experiences through field trips, recreational activities, community projects, visitors, and camp projects that enrich our campers of all ages intellectually, physically, and socially. We incorporate reading, science, math and GREEN studies into our daily curriculum. Our summer camp program is academically designed specifically to eliminate summer learning losses for all ages. We have two summer camps planned. One for ages 3 and under and one for ages 4 and up. This year we have used our alumni campers’ favorite trips, visitors, and activities to create an exciting camp this year for our students of all ages. Students ages 4 and up will take one or more weekly field trips. Some of our trips this year include, The Beach Waterpark, Entertrainment Junction, Cincinnati Reds Stadium, Scallywag Laser Tag, Paul Brown Stadium and more! We will also be offering swimming lessons and visit The Beach Waterpark every week. Our camp space is limited, so don’t delay- call today for your camp calendar to see what we have planned!